Energy supplement company Boost & Boom was yesterday forced to issue a recall notice for several varieties of their energy bar products as they have been found to contain milk, which is not on the nutritional information labels of the bars. This could cause a health risk for anyone with an allergy or intolerance towards milk or milk constituents. Given advice is to avoid eating the product if you have a milk allergy or intolerance. Alternatively, the product can be returned to the store where it was bought for a full refund. The FSA has advised Boost and Boom to contact relevant allergy support organisations, which can then contact members about the recall. They will also have been advised to issue a point-of-sale notice to customers. These notices explain to customers why the product is being recalled and tell them what to do if they have bought the product. 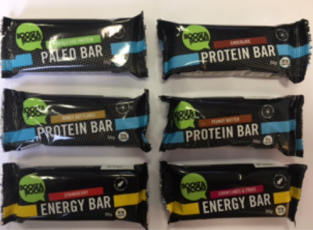 Boost and Boom are a Northern Ireland-based energy supplement manufacturer, creating food products aimed at the fitness market.